Apple’s Q2 2017 earnings call is scheduled to begin at 2 p.m. PDT on Tuesday, May 2. Here are some numbers to consider. In the second quarter of 2016, Apple posted quarterly revenue of $50.6 billion and quarterly net profit of $10.5 billion. That compares to revenue of $58 billion and a net profit of $13.6 billion in 2Q15. Gross margin was 39.4 percent compared to 40.8 percent in 2016. 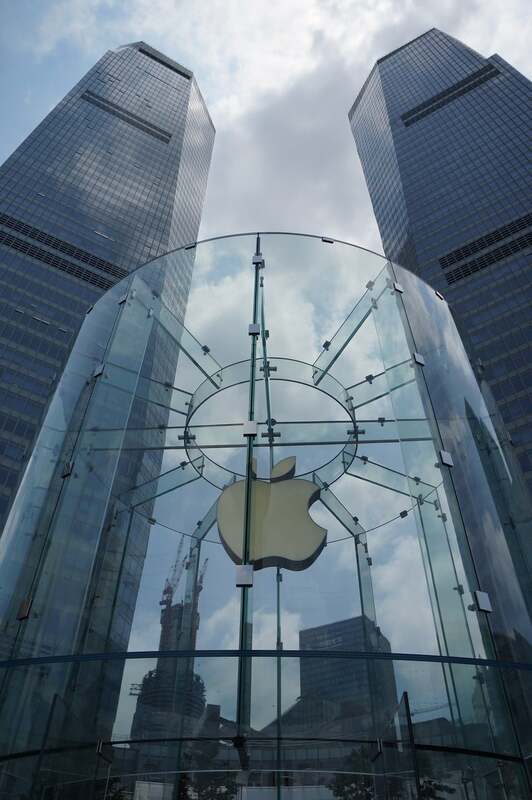 Apple’s international sales accounted for 67 percent of the quarter’s revenue. Apple’s guidance for its fiscal 2017 second quarter is for revenue of between $51.5 billion and $53.5 billion. Cupertino sold 51.19 million iPhones during the second quarter of 2016. 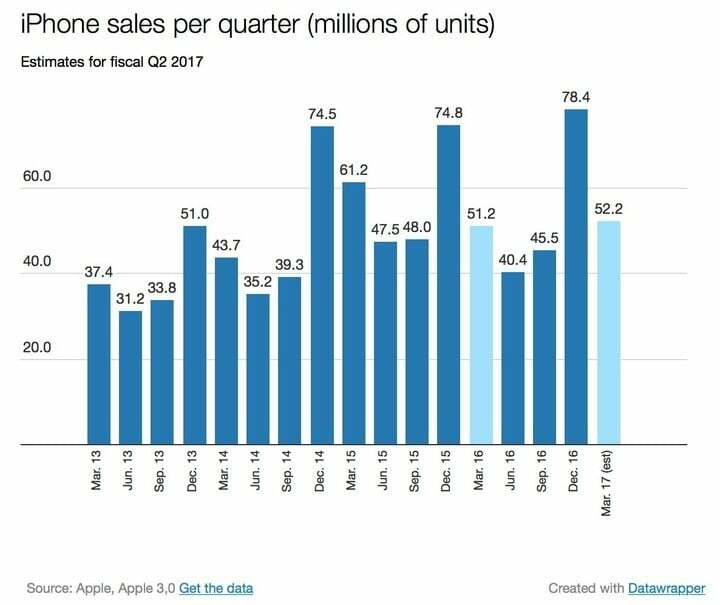 Analysts expect to see mostly flat iPhone sales for this quarter. That’s the number of iPads sold during the second quarter of 2016. One year earlier, the company sold 12.6 million iPads. Sales for Mac fell one year ago from 4.56 million to 4.03 million units. Apple’s Q2 2017 earnings call will take place on Tuesday, May 2 at 2 p.m. PDT. You can access it via audio webcast at this link. Live streaming uses Apple’s HTTP Live Streaming (HLS) technology. HLS requires an iPhone, iPad, or iPod touch with Safari on iOS 7.0 or later, a Mac with Safari 6.0.5 or later on OS X v10.8.5 or later, or a PC with Microsoft Edge on Windows 10.